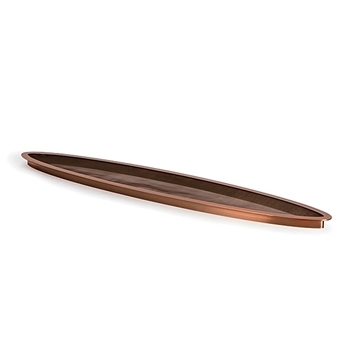 Atlantic 36" Copper Finish Splash Rings are a great way to control splash in formal waterfall and fountain applications. Constructed with a copper finish and mesh, the splash rings add the look of copper to the water feature. Further enhance the water feature by placing a Atlantic Water Gardens SOL light ring in the splash ring to create a dramatic nighttime effect.